Adrenaline, (aka adrenalin or epinephrine), is a hormone, neurotransmitter, and in modern day – a medication. Epinephrine is normally produced by both the adrenal glands and certain neurons. Specifically it is secreted by the medulla of the adrenal glands. It plays an important role in our body’s fight-or-flight response by increasing blood flow to muscles, output of the heart, pupil dilation, and blood sugar. Interestingly enough, strong emotions such as fear or anger can cause adrenaline to be released into the bloodstream, which causes an increase in heart rate, muscle strength, blood pressure, and sugar metabolism. The adrenal glands require Vitamin C-rich foods to help produce cortisol. The Indian Gooseberry or Amla is so accessible and helps to change your mood. A person with Vitamin C deficiency tends to feel fatigued and depressed. The Amla is definitely a mood changer. Other Vitamin C-rich foods in this category are oranges, mangoes, peaches, leafy greens and tomatoes. It is found that Vitamin B-rich foods help to support the adrenal glands and also increase the energy levels during stress. Beneficial foods with vitamin B are avocados, bananas, potatoes, oats and legumes. Including healthy oils in your diet aid the adrenal glands. Oils with fat content like coconut oil, olive oil, oil from seeds and nuts like groundnut, almond and cashew nuts are certain examples. These oils make one feel full and satisfied. Rational thinking is optimum when there is contentment – even in small measures. Start your day with a glass of warm lemon water with a little salt. This aids in blood circulation. 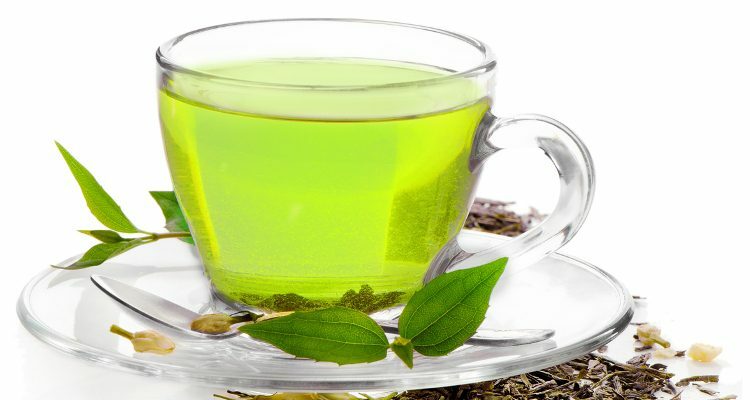 Green tea is a lot beneficial in the digestion of food. Having a high metabolism rate is essential to have healthy adrenal glands. Protein-rich foods help to stabilize the sugar levels and reduce undue cravings for sugar. Sprouted grams, fresh green peas, beans and almonds are recommended for a balanced protein diet to aid healthy adrenal glands. This natural herb is very essential for a strong nervous system. It enables the body to build a strong nervous system while supporting the adrenal glands and their function. This herb is mainly consumed in the form of tablets. This is a treat which tops all good health prescriptions. Made up of essentials like cow ghee, Indian gooseberry, and jaggery, this ayurvedic magic has been India’s heritage medicinal treat since ancient times. The newborn to the old alike consume this for a healthy living and a disease-free life. The Vata, Pitta and the Kapha are controlled by consuming a teaspoonful once or twice in a day. The Chyavanprash aids in building a strong immune system. * a cooked mixture of sugar, honey, ghee, Indian Gooseberry (amla), jam, sesame oil, berries and various herbs and spices. Email me for a great recipe! One of the age-old treats, a glass of warm milk and turmeric is essential for a good night’s sleep. This invigorating treat helps to rejuvenate tired muscles and nerves for an energy-packed day to face flights or fights of the adrenaline. This entry was posted in About, adrenaline, fitness, life tips, massage and bodywork, nutrition tips, organic, serendipity, superfoods, weight loss, Wellness, yoga and tagged adrenal health, adrenaline, combating fatigue, food for energy, nutrition, stay energized. Bookmark the permalink.